Kirill, the son of a university friend, had the idea a few years ago of starting his own business in Kazan. He wanted to open a little café-chantant. His father has been resident in Germany for many years, and works as a representative for a reputable Swedish company. He decided to help his son and bought him the equipment he needed to set up the business. But Kirill’s business never opened. The bureaucrats hounded him from pillar to post. They didn’t turn him down, but neither did they give him the permits he needed to take out a lease on the site and so on. At a certain point I decided to try and help the lad: he hadn’t been in Kazan long, he might not be familiar with local conditions. I also thought it would be interesting to go through this procedure. Kirill explained to me that he had had no particular problem registering as the owner of a private business. The difficulties arose when he had to acquire premises for his café. In the first place, there was a lack of information: it was totally unclear where he should apply for a permit and what paperwork he needed. Kirill was ready to consider two possibilities: an indoor café or a café in a structure that would be lightweight but heatable in winter. Eventually he discovered that he needed to apply to the council of the district of Kazan where he wanted to open his café. The fledgling entrepreneur applied to two district councils, but got no sensible answer from either. This was the point at which I came in. Kirill and I managed to get an appointment to see the senior council officer who was responsible for permits for café premises. He immediately told us that ‘public catering facilities’ were needed locally, but… At this point things became quite weird. He told us that the environmental prosecutor's office had stopped issuing permits for such facilities and that he didn’t know why. When I began to dial the prosecutor's number to find out, he nervously took me by the arm and asked me not to. He also talked about the problems of land allocation, listed various factors which I cannot remember, and in the end told Kirill to find a site and then come back to him. Kirill had already long since found a site for his café, and handed in all the necessary paperwork the very next day, but there was no response. He spent another year knocking on officials’ doors, but got nowhere, and eventually gave up the whole idea. Private business first appeared in Kazan, as in the rest of the country, in the late 80s, the final years of the Soviet Union. At the time it was known as ‘the cooperative movement’. In a situation of ever growing shortages affecting all goods and services there was no alternative to allowing private initiative. The major difference between the first entrepreneurs and those of today was that then they actually produced things. By that time the Iron Curtain was well and truly rusted through, but it was still standing, and there was no free trade with other countries. So numerous small workshops sprang up, making clothes, producing simple bits of equipment and of course providing services. Then business interests began to shift toward buying and selling. These were what we now call small and medium sized businesses. At that point the country was divided into two camps: people trying to use their initiative, and the rest who hated them for it. But customers flocked to them – the state owned shops were empty. In a very short time this mass of small entrepreneurs was providing clothing for the whole country and was quickly able to feed people when the USSR finally collapsed. But then businesses engaged in production became unprofitable. The first blow was delivered by the flourishing criminal class – the mob’s protection racket hit everyone - and once the bureaucrats joined in the racketeering, regaining their confidence after the fright they had in August 1991, there was no longer any point in producing anything. Small firms were finally finished off by the government whose residual Soviet mentality made them see a potential criminal in every business owner. They saddled business with a plethora of auditing authorities, permits, instructions and circulars, while happily squeezing them with exorbitant tax rates at the same time. 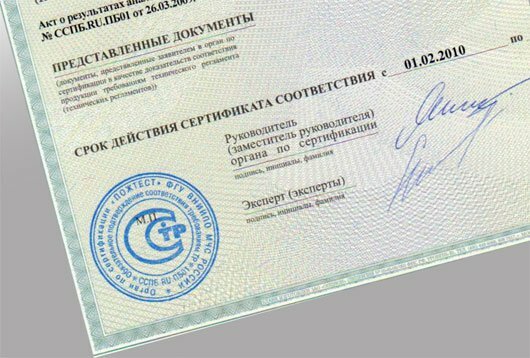 This is the point that marks the beginning of Russia’s all-encompassing corruption – any health and safety inspector, police officer or petty bureaucrat could arrange an inspection at any moment, and even halt production while they carried it out. In the circumstances, business owners had no option but to buy off this insatiable crew. Many preferred to go out of business. This situation continued until recently, and only Medvedev has attempted to rectify it. Yevgeny Yosipov, the deputy chair of the Kazan Guild of Small and Medium Businesses, told me that business owners have really noticed the change. Previously, he said, representatives of all the various official bodies could turn up at any time and find a mass of irregularities. Or indeed create them themselves. Yosipov recalled one day when two inspectors appeared in his florist’s shop, pretending to be customers. While one of them chatted to the shop assistant, the other removed a price label from some goods. They then fined him for a breach of trading regulations. In other words, they would blatantly stitch people up. The alternative to paying the fine (and one fine too many could mean you lost your business) is a backhander to the appropriate official. Since it is impossible for a business owner to argue the toss – Russian courts always take the side of the authorities and the police and generally return a guilty verdict – the bribery option remains your only chance of avoiding serious grief and on occasion of just keeping your business. According to Yosipov, however, these spot checks are less frequent nowadays. chance of setting up even a small business. Nevertheless, opening a business is incredibly complicated. Yosipov was not surprised to hear about Kirill and openly admitted that it was more or less impossible without official contacts. He himself had tried to go into manufacturing, but without success. His idea was to produce breezeblocks for the building trade; he had the money and the equipment, but like Kirill he found himself beating his head against a bureaucratic brick wall. Without the support of specific officials, he could collect all the paperwork he liked and still have no chance. They would tell you they were on your side, and would in fact be blocking you at every step. So, I thought, young people wanting to open a business after school or university will find it impossible. What about government programmes to help the unemployed to go into business for themselves? I put this question to Ruslan Zinatullin, the head of the Tatar branch of the Yabloko political party, which in many respects represents the interests of small and medium sized businesses. He told me that the government offered support to people who wanted to go into business for themselves, but decisions were taken by officials at a local level. And they too give preferential treatment to ‘their own’. So the programme is not having much effect. In one district only ten or twelve people are receiving financial support, out of hundreds of applicants. It often happens that, after ‘absorbing’ the cash, these firms close down – ‘it didn’t work out, did it?’ So those who really want to work have to go on looking and living on unemployment benefit, which is often not enough to even cover their rent and electricity. This situation also damages the government’s credibility among active citizens. Some believe the Kazan authorities don’t really want small and medium size businesses as they don’t provide enough kickbacks or big bribes to be bothered with. Ruslan Zinatullin also believes that the Kazan authorities don’t really want small and medium size businesses as they don’t provide enough kickbacks or big bribes to be bothered with. The emphasis is on the development of large retail chains. On the one hand, you could say that this sector is becoming more civilised, but the closure of small businesses means the disappearance of local corner shops, as well as a rise in unemployment and social tensions – small business owners are a socially active group. Economists consider that for a country to feel confident in itself, small business should account for 60% of GDP, whereas in Russia it is only 20%, and falling. The government often explains its policies by saying that the days of the wild market are over and no one wants small shops any more. But shop owners argue, with good reason, that if they are left alone, they do very well; the customers, in other words, vote for them with their roubles. I was, however, fortunate enough to meet a group of business people in Kazan who are a happy exception to the rule. This is the Unysh market (the Tatar word means ‘success’). Its shareholders managed to obtain some land for it without bribing anyone. But they did have to resort to a hunger strike outside the Kazan kremlin, as well as other protest actions. In the Unysh complex the traders own their own pavilions. It all began in 2009, when the owner of some land where there already was a market sold it to a major chain store and the traders were given two days to remove their pavilions. They objected and demanded that the council give them another site. After meeting with total official indifference to their plight, they resorted to extreme means – they set up a tent city under the kremlin walls and began a hunger strike. Alfred Valiev, manager of the Unysh market, told me it did not take long for all their demands to be met; they were offered a choice of several sites close to the old one, and the Mayor’s office helped them sort out the paperwork. It turned out that the authorities can do everything – they can help, they can look kindly on you. And afterwards they can even show their pride in such a model market. Unysh Market is different from from all the others; here everything is decided by the traders. Alfred Valiev may be the manager, but he is elected by the traders and is answerable to them. They pay no rent to a landowner, just utilities and maintenance charges. As a result each trader pays about 7,000 roubles a month on a 12 square metre pavilion, as compared with the 36,000 roubles paid by traders for a similar area at a market nearby. As Alfred says, ‘our determination put the authorities in a position where didn’t even dare ask us for a bribe’. But this situation is unusual. Local Yabloko leader Ruslan Zinatullin told me that many successful medium size businesses are getting out of Tatarstan. The reason for this is an extra, unofficial, tax which is traditional here. Local businesses pay 1% of their annual turnover into a fund which finances various local programmes. Business owners regard this as a semi-official corruption tax, and the authorities do nothing to allay their suspicions by making the workings of the fund more transparent. But this is not all. Zinatullin talks about endless ‘one-off’ demands that hit not only large and medium size business but small business as well. These are ostensibly voluntary contributions to various festivities at both regional and republican level. Business owners might well be happy to pay if they were told how the money was to be spent, but in the absence of any explanation they are loathe to shell out. 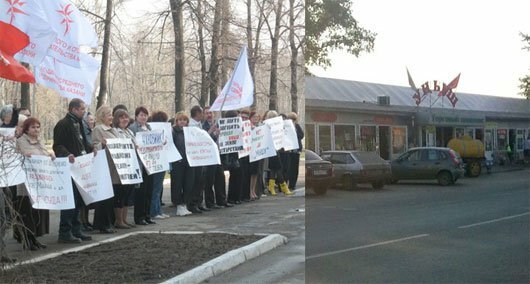 Businesses have begun to register outside Tatarstan, in neighbouring regions where there are no such levies. And the trickle has become a flow which no official protests can stem. Many medium-sized businesses are getting out of Tatarstan because of the burden of having to pay a 1%-of-turnover local 'corruption tax' as well as meeting endless one-off demands from the authorities for contributions. As for big business in Tatarstan, Ruslan Zinatullin estimates that 70% of it is controlled by the regional government either directly or through various other bodies. This controlled sector pays all its dues, including the less than legitimate ones, and in return is bailed out by the authorities when necessary – in a crisis, for example. Ruslan described one scenario: a company would announce it was making a thousand of its staff redundant. The regional government would then make money available for a job creation scheme, and the company would ‘create’ jobs for the same 1000 workers. Zinatullin sees this as a pure and simple cash injection to companies from the public purse, but at any rate serious unemployment was avoided in Tatarstan. People were paid a wage – not a large one, but a wage nevertheless. And it was usually more than the miserable sum they would receive from the government in unemployment benefit. During the crisis, local authorities relaxed their pressure on small business. Kiosks and street stalls were left alone. Now, however, it would appear that the Kazan Mayor’s office has decided the crisis has now passed. At any rate, the city’s Head of Administration Ilsur Metshin announced a few days ago that the majority of these structures were to be removed and that of 2700 pavilions in Kazan at present only 900 would be left. It is unclear how the happy few will be chosen, but one thing is clear: the army of the unemployed will swell by several thousand. As for my friend’s son Kirill, he has managed to find his way into business. He sold the equipment he had bought for his café and invested the proceeds in an existing business. Perhaps it will all work out for him after all.